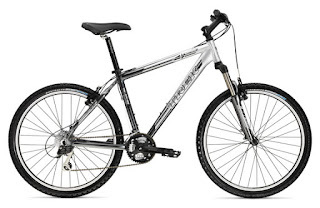 My new cross country bike, a Trek 4300. Trek is a very good brand. I bought one about 8 years ago and I am very happy with it. I don't use it nearly as often as I should/want. I hope to change that and get more use out of it including running errands to save on fuel costs. One could never get better than the Dundas Valley trails. A new pastor with a good taste in bicycles. Excellent!